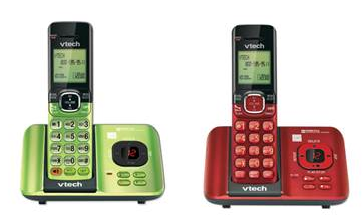 The VTech Cordless Answering System with Caller ID/Call Waiting is an ideal option for the budget-conscious style maven, this sleek cordless phone with Digital Answering System makes staying on top of calls a cinch. The easy-to-read Caller ID/Call Waiting and 14 minutes of recording time give you confidence you’ll never miss a call. Plus, handset speakerphones mean you can bring more people into the conversation. It’s everything you need to stay on top of keeping in touch. Disclosure: I was given the product featured in this post. All opinions are 100% mine and not influenced in any way. Originally published on 2013-10-18 by Amy at Who Said Nothing in Life is Free .